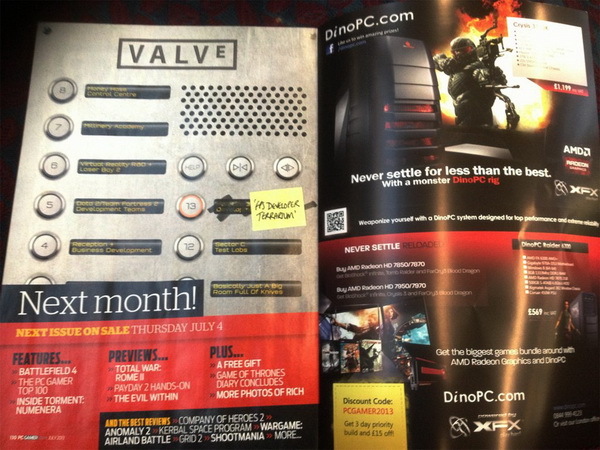 In the July 2013 issue of PC Gamer magazine is a preview for what’s coming up in the August edition. The preview shows an elevator button panel, headlined with the Valve logo. 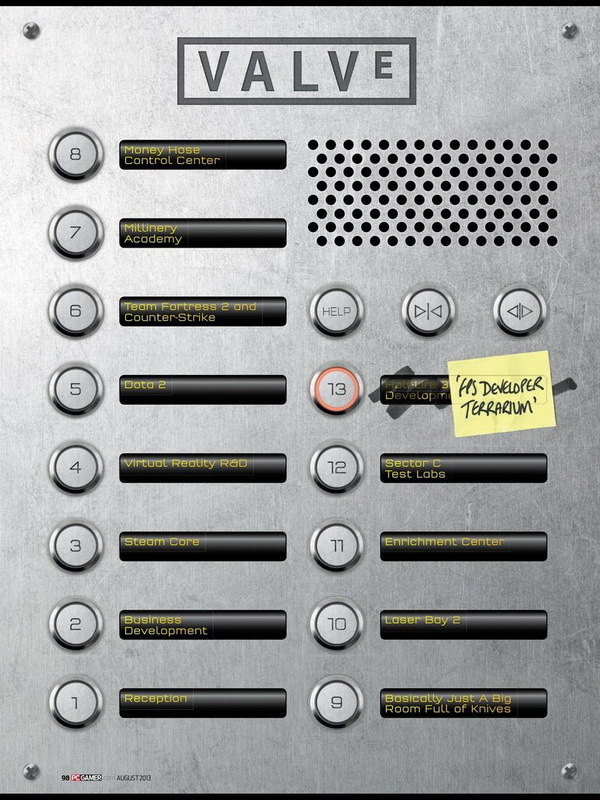 The image is supposed to represent an internal elevator in Valve HQ, and shows buttons for the reception, R&D department, the money hose control centre (a pretty good self-referential joke), and most importantly, floor 13 which is labelled Half-Life 3 development, but it’s scribbled over with a marker and features a sticky note saying “FPS developer terrarium” which covers half the Half-Life 3 label. This could really be just another teaser from Valve, as they are very aware of the on-going joke surrounding the long wait for the announcement of Half-Life 3. Will Valve finally reveal something about Half-Life 3, or will it be a new FPS franchise entirely? 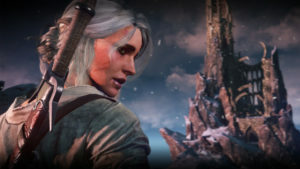 I’m sure PC Gamer will be happy with the sales boost. 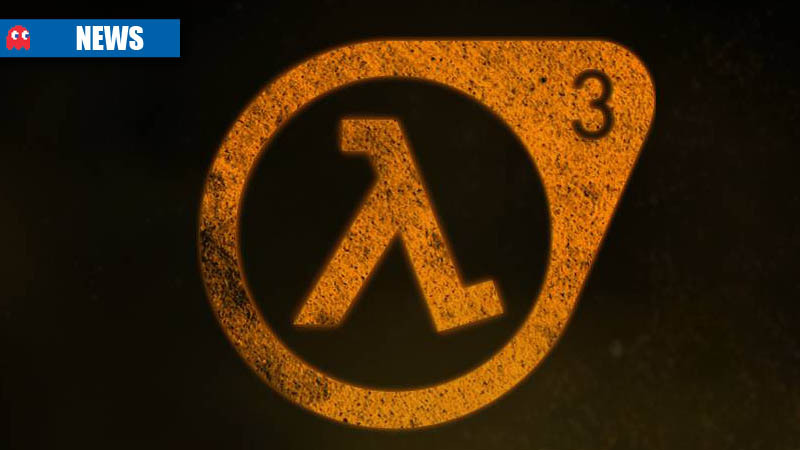 Our speculation at the MyGaming office is that with next-gen consoles on the horizon, the timing is good for Valve to announce a new FPS game (holding thumbs for Half-Life 3) as this will likely be running the latest version of their venerable Source 3D engine. 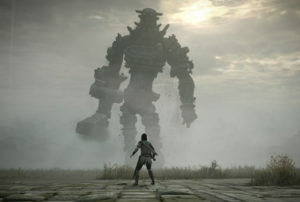 Thanks to Eugene on the MyGaming forum for spotting the image.